Often referred to as Pearl White due to the sheen. 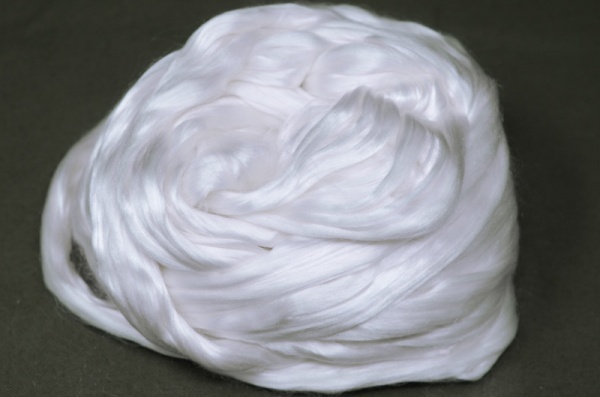 There are various grades of silk tops, relating to their colouring, length and how fine the fibres are. These Mulberry Tops are the highest grade we can find to stock. As with all silks these tops will not felt on their own, though they may be incorporated into wool blends and then felted. This can give a very attractive glimmer to finished pieces.